Gareth Maybin is under pressure to keep his card. Photo Eoin Clarke/www.golffile.ieDamien McGrane and Gareth Maybin face a nerve-wracking end to the season as they battle to hold on to their European Tour cards. The top 115 in the Race to Dubai retain their privileges for 2012 and while that number will change as names are removed from the standings due to lack of starts, the Irish pair need a big week in the four events they can hope to play between now and the end of the season. 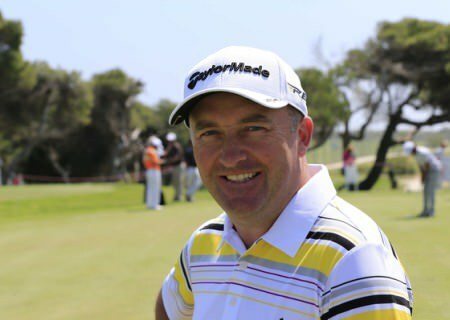 McGrane remained 107th in the money list thanks to his share of 41st behind runaway winner Sergio Garcia in the Castellon Masters. But Maybin fell five places to 116th after missing the cut in Valencia and now needs to find a top performance in Spain, Singapore, Malaysia or Hong Kong to make sure of his playing rights next term. The Ulsterman, who has made just three cut in the nine events he has played since he got married in May, will be hoping for a repeat of last year’s runner up finish behind Graeme McDowell when he tees it up in the Andalucia Masters at Valderrama. But if he doesn’t make a move there he still has chances to come in the Barclays Singapore Open, the Iskandar Johor Open in Malaysia or the UBS Hong Kong Open. Damien McGrane chips through a tree at the 8th green during the final round of the Castello Masters. Photo Eoin Clarke/www.golffile.iePeter Lawrie, Shane Lowry and Padraig Harrington are more worried about finishing the season inside the top 60 money winners who qualify for the season-ending Dubai World Championship. Lawrie looks relatively safe at 54th in the standings with €442,163 but Lowry is just over €10,000 outside the mark at 63rd while Harrington will have more than €45,366 to make up when he makes his next appearance in Singapore. Rather than playing in Valderrama, where a win would qualify him for next week’s WGC-HSBC Champions, the Dubliner is in Shanghai a week early for the non-counting, unofficial, Lake Malaren Shanghai Masters. The $5m, 30-man invitational, which boasts the biggest first prize in the game at $2m, has attracted a stellar field. All eyes will be on Rory McIlroy, who shocked ISM by dumping them as his management team last week in favour of Dublin based Horizon Sports Management. 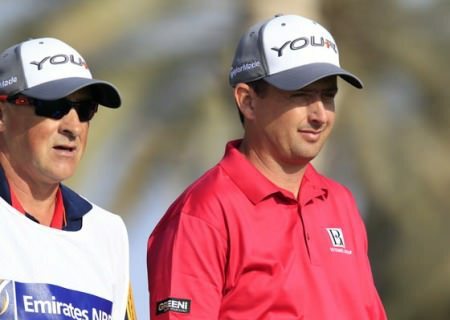 Graeme McDowell is expecting a battle royale with stablemate Gareth Maybin for the Andalucia Valderrama Masters on Sunday afternoon. 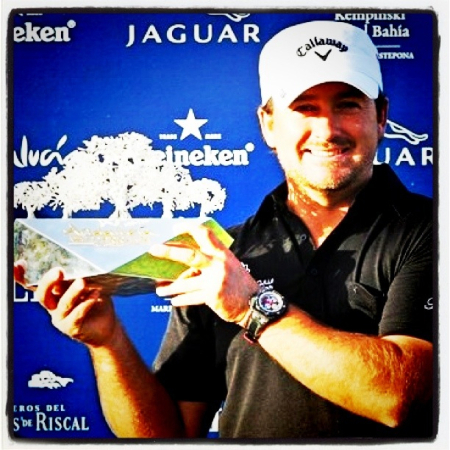 Is there tougher man in world golf right now than Graeme McDowell? The answer to that question has to be a resounding “no” after the 31-year old US Open champion came through a final round battle for survival on a blustery day in Spain to win the €3 million Andalucia Valderrama Masters by two shots on three under par from fellow Irishmen Gareth Maybin (76) and Damien McGrane (72) and the Dane Soren Kjeldsen (69). 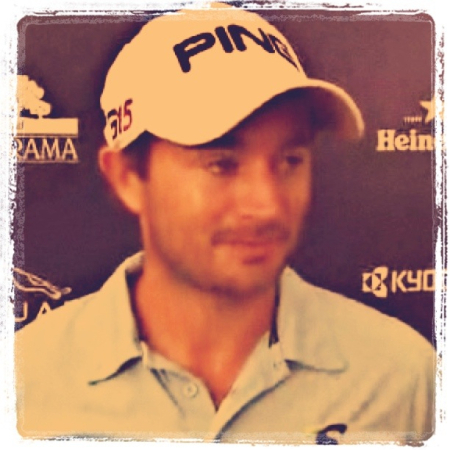 Gareth Maybin, pictured here in Castellon earlier this season, made just his 13th cut of the year in the SA Open. Photo Eoin Clarke/www.golffile.ieGareth Maybin’s bid to keep his European Tour card looks certain to go right to the wire.